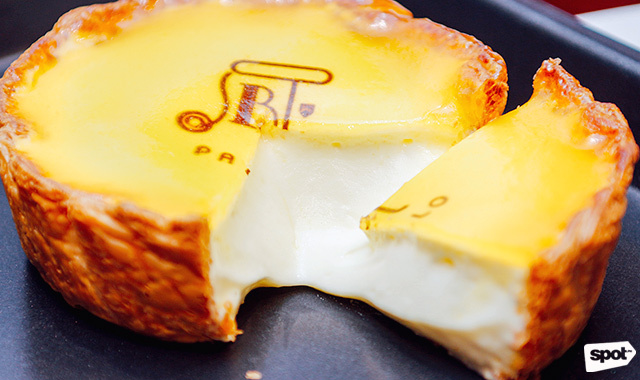 Have a taste of "the best cheese tarts in the world." (SPOT.ph) There are always moments in life that we look forward to—the last day of school, that promotion at work, or even that first date. Seeing PABLO finally come to Manila feels like that, and more. Like you’re seeing your best friend again, or you know that you’re about to meet someone new, someone exciting. 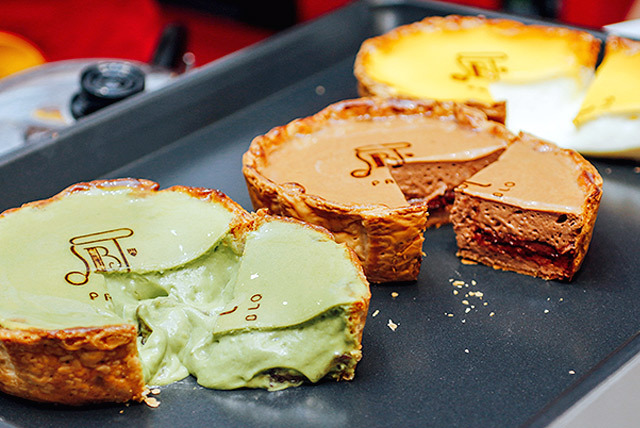 Each careful detail is well thought-out—from the melting, gooey cheese-inspired design of the store, to the adorable cheese tart packages, down to the careful stroke of glaze on top of each treat. The magic happens before your eyes. 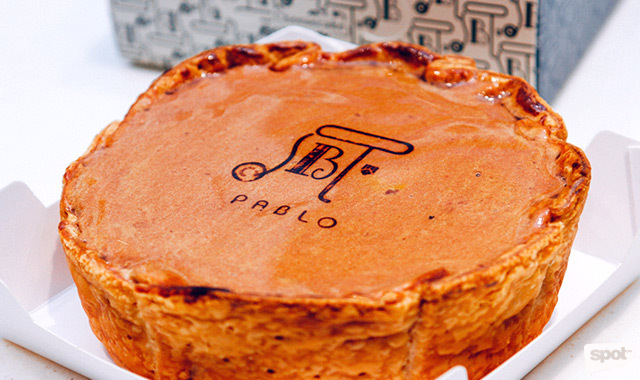 PABLO creates their cheese tarts from scratch right in front of you, drawing you in with a mouth-watering aroma, teasing you with every whip of the batter that’s meticulously and masterfully prepared. 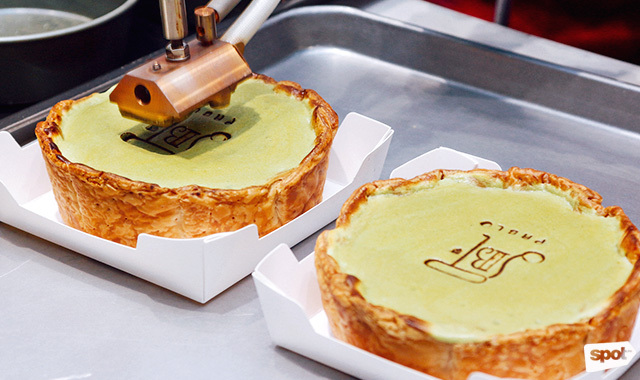 In Japan, the cheese tarts are treated like steaks. 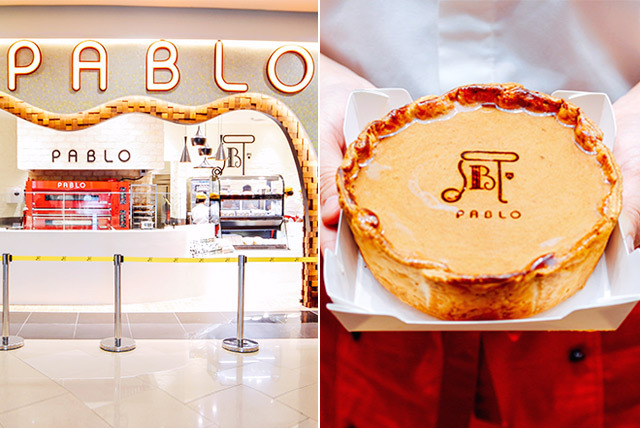 Guests can opt to have their tarts medium or rare, but PABLO Philippines makes everything medium. Served fresh from the oven, the Cheese Tarts (P599) are unlike any other, with contrasting elements that somehow blend together. Rich, but light. Tart, but sweet. Mild, but flavorful. 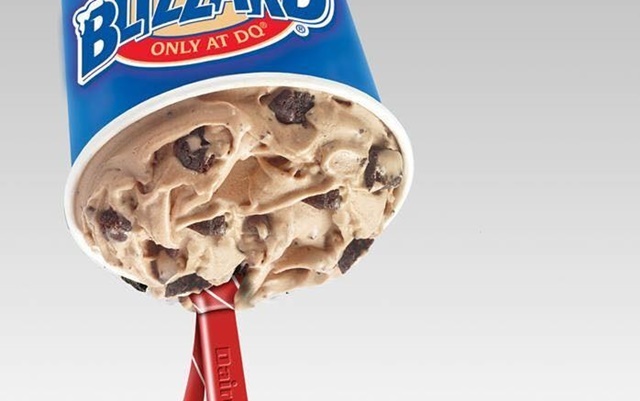 It all comes together in a creamy, irresistible, luscious pan that delivers the most delightful and addicting melt-in-your-mouth sensation. 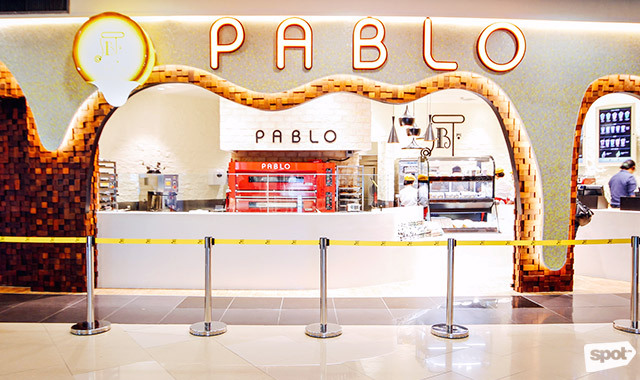 It's topped with a rather neutral apricot glaze and the PABLO logo. 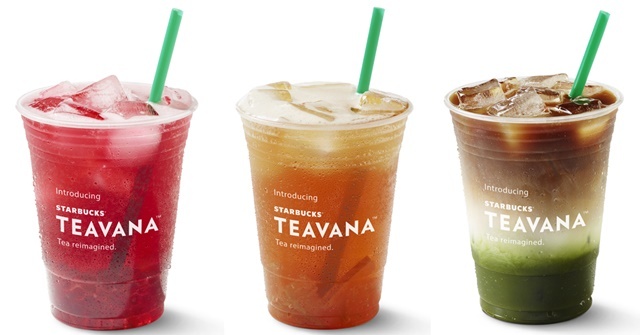 Matcha lovers need not feel left out. 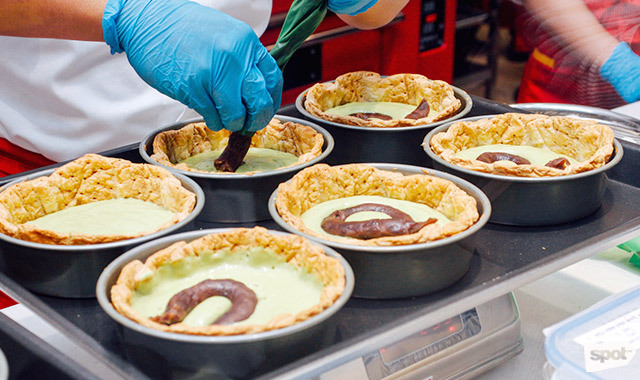 PABLO expertly layers their Matcha Cheese Tart (P699). Digging into the batter is like unraveling a gem, like knowing that there's a surprise waiting at the center, and without too much effort, you'll find the chewy shiratama mochi balls and flavorful azuki red bean paste—the delicious treasure that will keep you hunting for more. 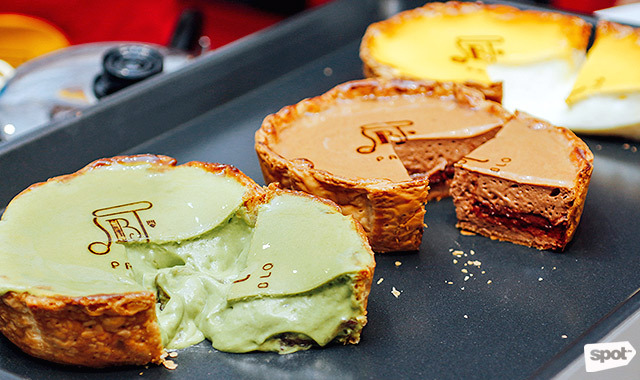 The Chocolate Cheese Tart (P699) will remind you of all those times chocolate made everything better. It's sweet without being too cloying, the rich flavors of chocolate coming from actual chocolate bits, the crust filled to the brim. Slicing one open treats you to a spectacular display of gooey chocolate oozing out. The lights are bright, and the kawaii place is a joy to take in. The staff members dance around to PABLO’s song playing on a loop. One batch of cheese tarts are done, and everyone will yell “Cheese tarts done! Okay, PABLO!” With a crowd that’s already eagerly waiting, you are more than okay, PABLO. PABLO's soft opening is today, September 14, at 6 p.m. The grand launch will be tomorrow, September 15.